Bar Harbor, ME This coastal town is located at the base of Cadillac Mountain and neighboring Acadia National Park. As one of the premiere North American destinations dating back to the 19th century, this area once included a Millionaire’s Row of summer estates belonging to some of the most powerful families in the history of this country. The resources that grew from that network of the rich and famous, are still apparent today in the way of museums, shoppes, and historical points of interest. The nature scene is overflowing with sport opportunities while the discovery of the beautiful surroundings is an event in itself. For more information about Bar Harbor, go to visitmaine.com. Cody, WY The natural beauty of Cody, WY, is like no other place on earth. This old west town has all the charm of yesteryear while entertaining all ages of today’s traveler. Home to Buffalo Bill, this area has a multitude of things to see including rodeos, museums, out-west activities, scenic byways, wildlife galore, and all the adventure of the great outdoors. All the details for what to see in Cody, WY can be found at yellowstonecountry.org. Lancaster, PA Pennsylvania’s Dutch Country offers a wide variety of fun things to see and do in Lancaster County for all ages. Theater productions, tours, museums, amusement parks, covered bridges, and Amish activities are all on the list of favorites from previous visitors. Much of this area moves at a slower pace and centers around traditions from a different time period. Amidst the peaceful scenery in Lancaster, a unique blend of attractions, history, and opportunity to explore exists. Visit lancasterpa.com to begin the journey to a change of pace. Assateague Island, VA The seashore of Assateague Island reaches 37 miles of pristine, white sandy beach and is considered one of the best beach destinations on the East Coast. Bird watching, kayaking, crabbing, fishing, and the many other outdoor activities are the daily routine of visitors to this area. The wild ponies of Assateague Island travel the beach near Chincoteague, Virginia & Ocean City, Maryland offering a grand history lesson in itself. More facts about beautiful Assateague Island, VA can be found at assateagueisland.com. Seaside, OR If the Oregon coast is on your radar for the summer, make plans to stay in Seaside for bonfires on the beach, beautiful summer sunsets, and more things to do than will fit on your travel calendar. While the beach if the place to play, there are so many other sights to take in such as feeding the seals and wildlife watching. Making a day of it can include exploring the galleries, festivals, coastal lighthouses, historical landmarks, and the many sports made available by Mother Nature. Stop by visittheoregoncoast.com for the scoop on Seaside, OR. Montrose, CO Exploring the Black Canyon and the natural wonder of the Gunnison River is the center of this charming Colorado attraction. Local art and culture are also a treat while the thrill of nature is abundant with fishing, rafting, rock climbing and the breathtaking beauty of the area. Adventure for all ages can be found easily at coloradoinfo.com. Michigan Upper Peninsula There are four beautiful seasons to enjoy the breathtaking scenery in Michigan’s Upper Peninsula; however, summer can’t be beat in this area packed full of fun. If outdoor sports on the list of important area amenities, then look no further. Biking, boating, birding, hiking, golfing, and fishing can be enjoyed from sun up until sun down. The UP offers famous lighthouses, museums, historic sights, and even America’s first national seashore. If a trip to Upper Michigan in is sight, keep the calendar open because there is much to enjoy. Check out uptravel.com for more details. Horse Thief Lake, SD In the shadows of Mount Rushmore, the rustic mountain scenery of Horse Thief Lake exists in an area where there is so much to explore, it’s hard to know where to begin! 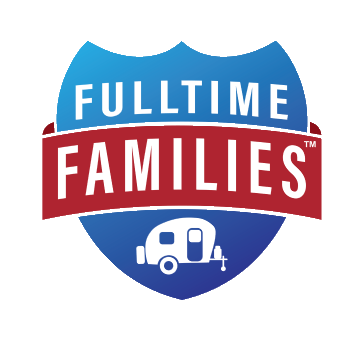 The abundance of family fun available here starts with open roads, preserved nature, world-famous roadside attractions, historic landmarks and so much more. The Black Hills of South Dakota provides the back drop for family memories that will be monumental in the memory books. The best place to begin this top summer destination is at travelsouthdakota.com. Knoxville, TN On the banks of the Tennessee River and in the foothills of the Smoky Mountains is one of the country’s perfect summer destinations. As a neighbor to America’s most visited national park, the area offers much to see and do for all ages for as many days or weeks as are available. Here lies a quirky combination of art, music, science, nature, sports, and history that comes together for entertainment opportunity like no other. Museums, historical treasures, and attractions of all kinds make up a list that is hard to pare down when looking at the things to do list of the area. Water sports include everything from serene to extreme on the river that is so much a part of the region. To experience Knoxville, go to tnvacation.com and start making plans. Tybee Island, GA Less than 20 miles from historic Savannah, GA, lies Tybee Island known as Savannah Beach. An area rich in history and natural beauty, Tybee Island really does have something to offer for everyone of all ages. Exploring the island’s beach, salty marsh, and beautiful southeastern coastline is an amazing combination of nature that provides a backdrop that is best known for birdwatching. The usual opportunities for watersports exist as well as historical points of interest but all come together with a twist of Southern charm not available anywhere else in the country. To put Tybee Island on your summer travel schedule, start out at tybeeisland.com. Kimberly Travaglino, Fulltime Families founder, and Mary Beth Goff, creator of Road Trip Teacher, come together as the Roadschool Moms© team with one of the top educational podcasts available on iTunes. Roadschool Moms airs LIVE every Sunday night at 9 pm EST on the Ultimate Homeschool Radio Network. For more details on Roadschool Moms Top 10 Summer Destinations, check out the July 5th episode.